It's been awhile since we posted to our newsletter so we'll start where we left off. 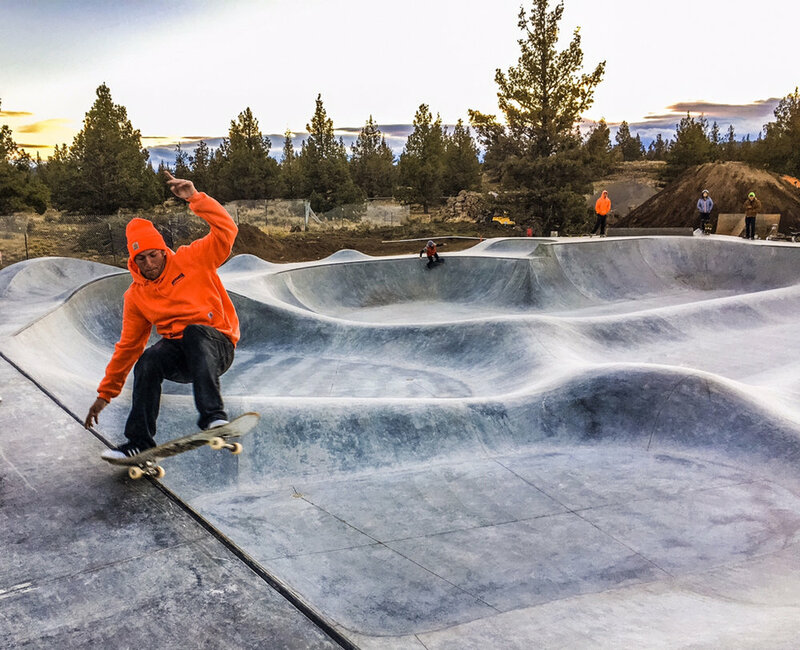 At the end of November 2016 we finished the Rockridge Skatepark in Bend, Oregon. This lunar landscape skatepark comes in at right about 11,000 square feet & should be open to the public when the rest of the Rockridge park construction is completed this summer of 2017. 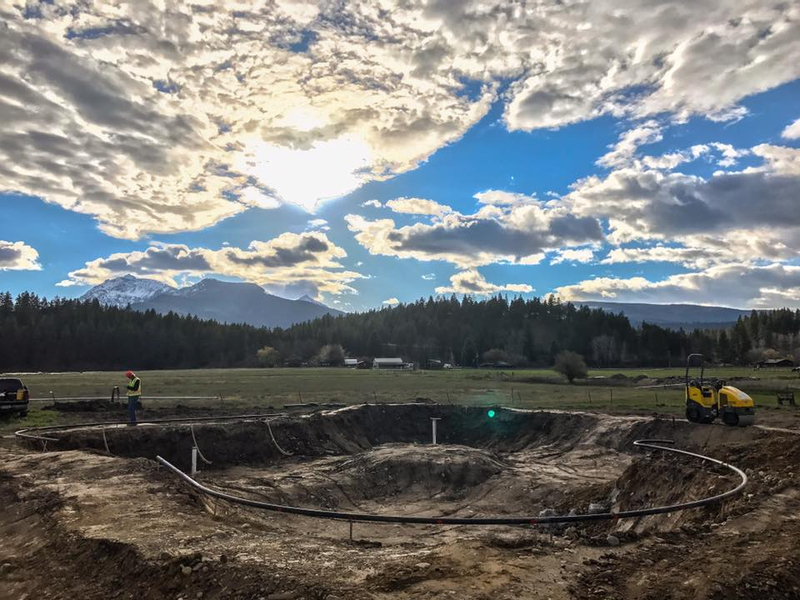 This is by far one of our favorite skateparks that we've designed & built and it will be a unique & fun addition to the Oregon skatepark scene. At the beginning of this year we were lucky to land a project in warm, sunny Texas. 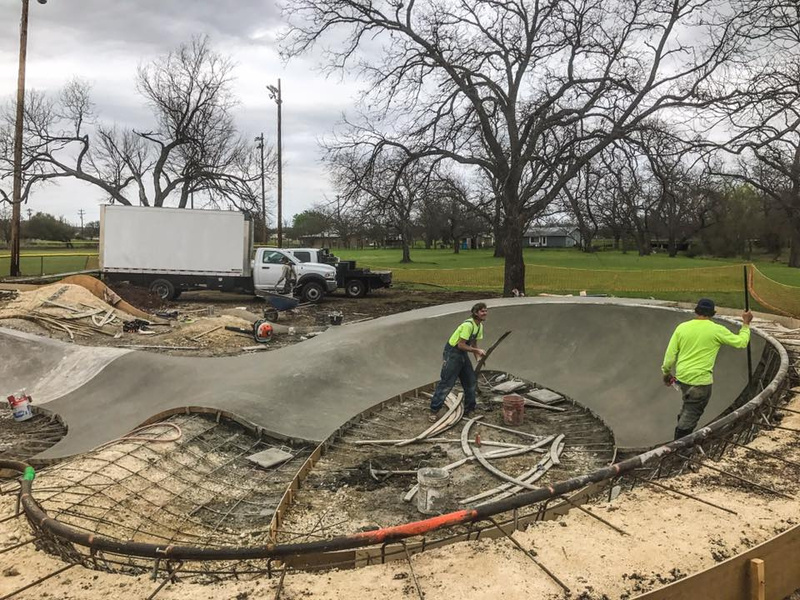 In February we began construction on the Johnson City, Texas skatepark which is not too far from Austin & just a short drive from the park we completed in 2015 in Fredericksburg, Texas. The Johnson City park is one of our favorite small skateparks we've done. It has a great flowy area with a long skateable path with ledges & manual pads. 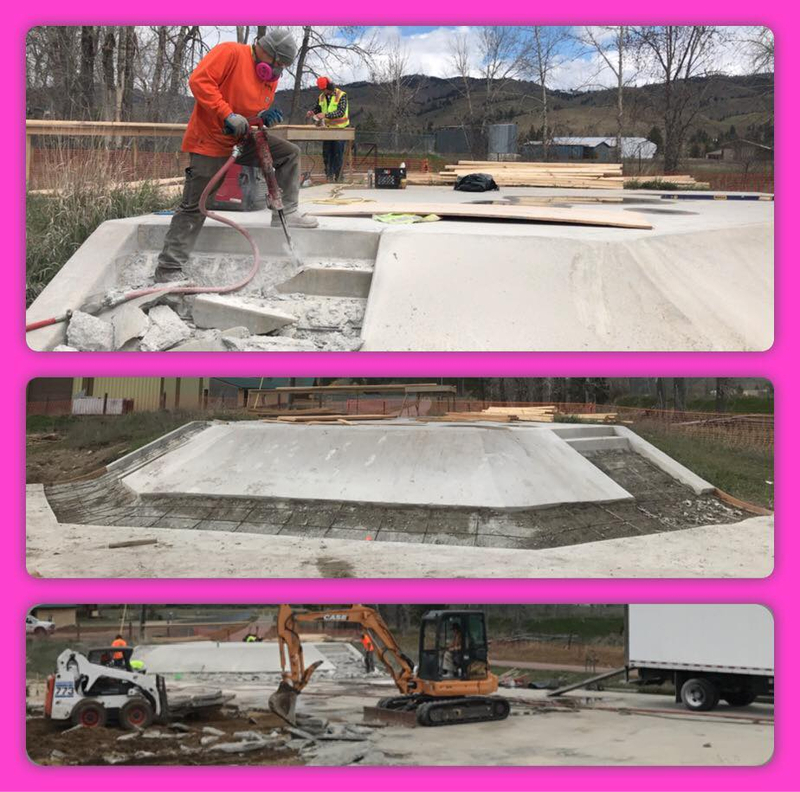 After Johnson City a small crew did some maintenance & new pool coping to the Grindline Skateparks designed & built West Linn, Oregon skatepark. Sometimes old concrete skateparks just need a little TLC. Real life Montana Pool Service designed section shaping up. Along with the Darby, Montana project we have one of our crews getting started on a much awaited park in Stockholm, Sweden. This is our first park in Sweden and will hopefully be finished before their midsummer holiday in June. 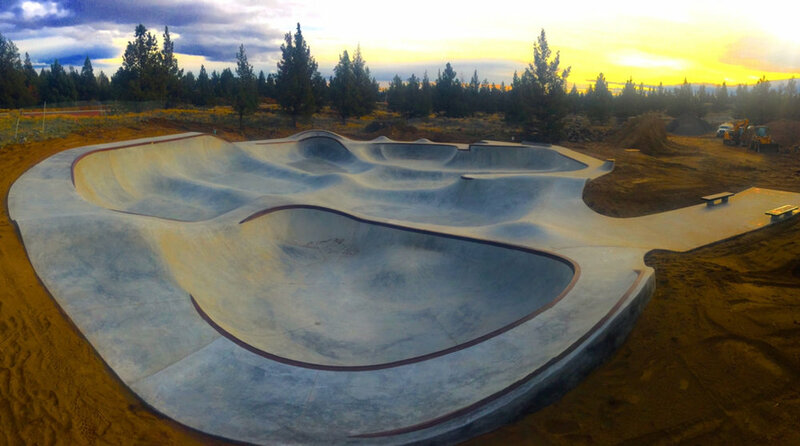 On the horizon for this summer we will be building another park or two in Montana. We'll also be back in Michigan to build phase 3 of Ride It Sculpture Park in Detroit as well as a brand new park just outside of Detroit in Sterling Heights. We are very excited about the Sterling Heights skatepark as it will be one of our largest design/build projects yet! Thanks again to everyone who helps make these projects a reality. Evergreen Skateparks is honored to get to do what we do.